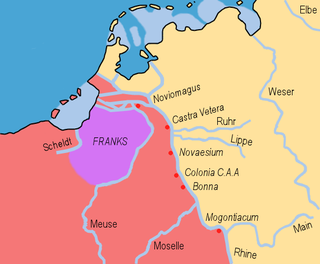 Ripuarian or Rhineland Franks were one of the two main groupings of early Frankish people, and specifically it was the name eventually applied to the tribes who settled in the old Roman territory of the Ubii, with its capital at Cologne on the Rhine river in modern Germany. 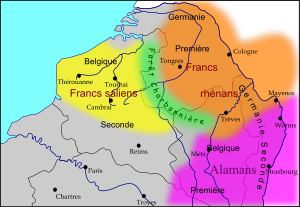 Their western neighbours were the Salii, or "Salian Franks", who were named already in late Roman records, and settled with imperial permission within the Roman Empire in what is today the southern part of the Netherlands, and Belgium, and later expanded their influence into the northern part of France above the Loire river, creating a Frankish empire. 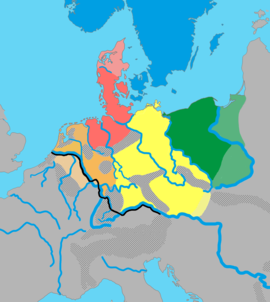 Franconian includes a number of West Germanic languages and dialects possibly derived from the languages and dialects originally spoken by the Franks from their ethnogenesis in the 3rd century AD. 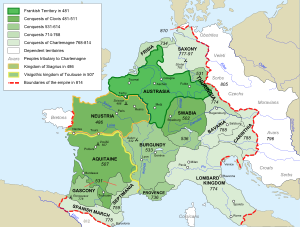 A famous likely speaker was Emperor Charlemagne. Linguists have different views about whether these languages and dialects have descended from a single Franconian proto-language, also known as Istvaeonic.